Air conditioning systems depend on numerous factors to keep them operating reliably, including adequate airflow, proper refrigerant temperatures, correct refrigerant pressures, a functioning compressor, and more. A single problem can affect the entire system, and it should be repaired as soon as possible to avoid further damage. To learn more about our AC services, contact Service Plus today at 317-434-2627. We serve the entire Greenfield Area, from Interstate 76 to Weber Road and beyond. Our team has the equipment and knowledge necessary to diagnose the cause of your AC problems quickly, and we feature fully-stocked trucks that allow most problems to be repaired on the first visit. Whether you live near Prairie Meadows or Main Street, contact our team for fast, effective repairs anywhere in Greenfield! At Service Plus, we provide maintenance and repair services for most brands of AC equipment and most types, including central air conditioners, heat pumps, and ductless mini splits. For maintenance services in Greenfield, contact us today! 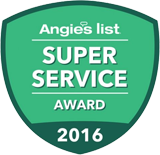 From maintenance and repairs, to system installations, our team at Service Plus can handle all your AC needs in the Greenfield area.